ATO forces suffered losses in Lebedynske. 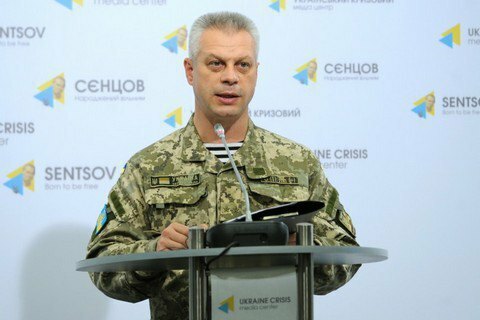 One Ukrainian soldier was killed and another wounded in the shelling of the village of Lebedynske, the press officer of the Ministry of Defense on the ATO Col. Andriy Lysenko told a briefing on Wednesday, 19 October. Over the past day, Russia-backed terrorist forces 57 times opened fire on the positions of the Ukrainian military in Donbas. Heavy weaponry was used. In the Mariupol sector, the enemy shelled the villages of Vynohradne and Pyshchevyk, destroying four houses. No casualties reported in this sector. On Monday, three Ukrainian soldiers were wounded in the course of the antiterrorist operation in Donbass, and four suffered shell-shocks.